Arsene Wenger has dismissed reports that he is set to take over at AC Milan as "fake news". Reports in France had suggested this week that the former Arsenal boss was in negotiations with the Serie A club to replace current manager Gennaro Gattuso. The 69-year-old has been out of work since leaving Arsenal in the summer after 22 years at the club. 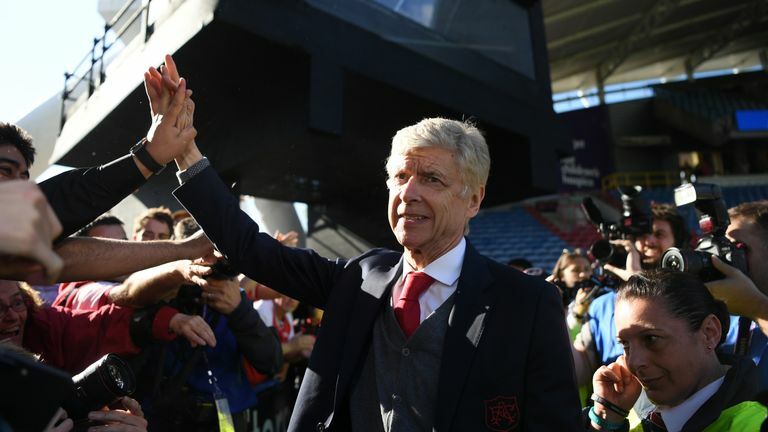 However, while he recently said he is keen to return to football management at the start of 2019, Wenger has denied that he is set to be appointed at the San Siro. "The only thing I can say is, it's fake news. If I signed somewhere I would tell you. It's wrong," Wenger said on BEIN Sports. "I cannot master the rumours, I can only master what I do in my life. That's wrong as well." Wenger recently told Sky Sports News that he was keen to return in 2019 but admitted it would be "odd" to work in England again after spending so long at Arsenal. "I said many times maybe the best way is not to be in England because I spent so much time at the same club it would seem odd to go somewhere else," he said. "But at the moment I cannot tell you [about my future] because I don't know. I don't know where I will be. I will be somewhere but I don't know where." Arsenal's former chief executive Ivan Gazidis will take up his new role at AC Milan on December 1 after spending 10 years in north London.